My full time job is to manage the social media pages of over 40 apartment communities across the country. My position was created in May of 2012 and I needed a way to see if what we I was doing was working. I have a goal of reaching 25% of the number of units at each property. If a property has 100 Likes, the goal is to get to 25 likes by the end of the year. While myself, and others on my team, are transitioning into our roles, we are looking for another way to measure success. Mashable published an article about this very topic. The real value of Facebook isn’t your fans or likes, it’s their friends you should be after. The idea of social media is based on social sharing, creating engaging content and building trust. If your fans are commenting, liking and sharing your contest, their friends will see it, people whom they trust. You could have 500 likes on your page and none of which engage with you, or you could have 25 fans and they could be the most engaged bunch on the planet, which would you rather have? If you answered the 25 over the 500…good answer, good answer. 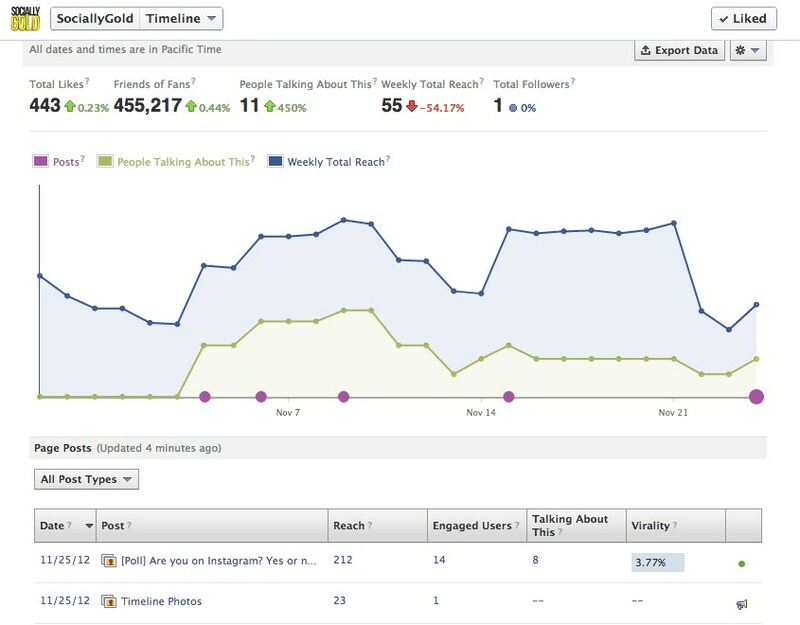 Facebook does allow you to measure engagement rates in the “insights” of Facebook Pages. Take a look at those numbers, see what type of posts your fans interact with the most, and replicate that. No need to post blindly and hoping your fans will engage with you. How do you measure your Facebook success? Let us know in the comments.